And there’s one other thing that will greet you at KH these days: a petition. The petition references a notice the market’s current owners received that has left them, and many in the Cambodian community, alarmed about the market’s future. 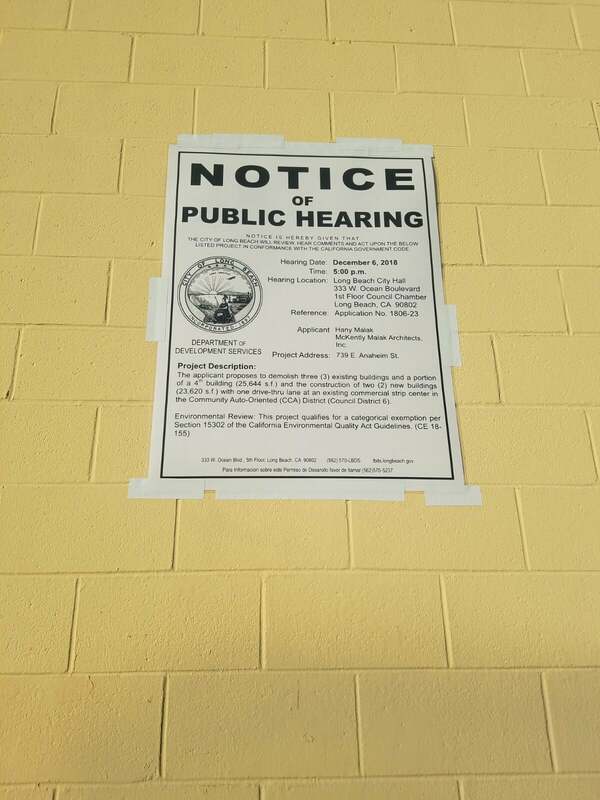 The notices posted outside the market on November 25 announce a hearing to discuss the possible demolition of their building. 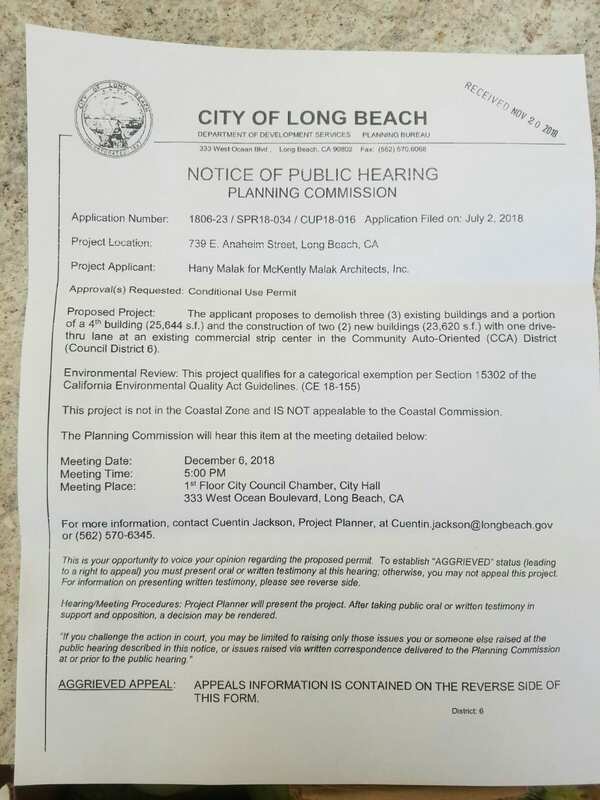 The notice arrived shortly after the business received a mailer on Nov. 20 and just two weeks before the property owner faces approval for the Planning Commission this Thursday to demolish the buildings in the small strip mall to make way for a multi-tenant property that would include a drive-thru. KH Market has reached out to its community via social media in the hopes of attracting supporters at the Dec. 6, 2018 Planning Commission Meeting. While Pang and his family are searching for possible agreements in the lease that the demolition would violate, the fear of displacement and oncoming gentrification is at the forefront of Pang’s concerns given that the plans for the new buildings completely exclude a shop of their size. “There are two really important things here,” Pang said. “This strip’s location is so important for us as a business and community. If this building does get demolished and we are unable to stay on Anaheim, there is just no way we could make another location work, at least in any sense of profit. 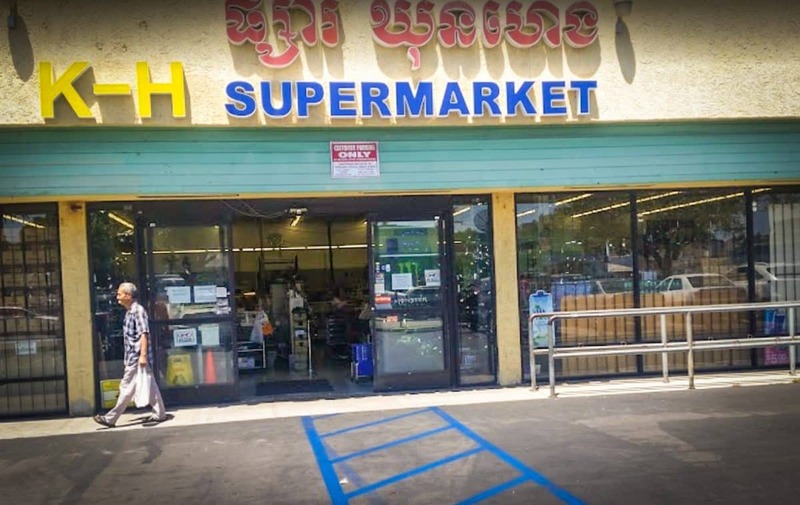 Though the market has been passed on through different owners over the years—Pang and his family have owned it for the past 12—the market itself has “been here from the beginning,” said Cambodia Town resident and advocate Prach Ly. Pang plans on attending the Dec. 6 Planning Commission meeting along with other supporters. 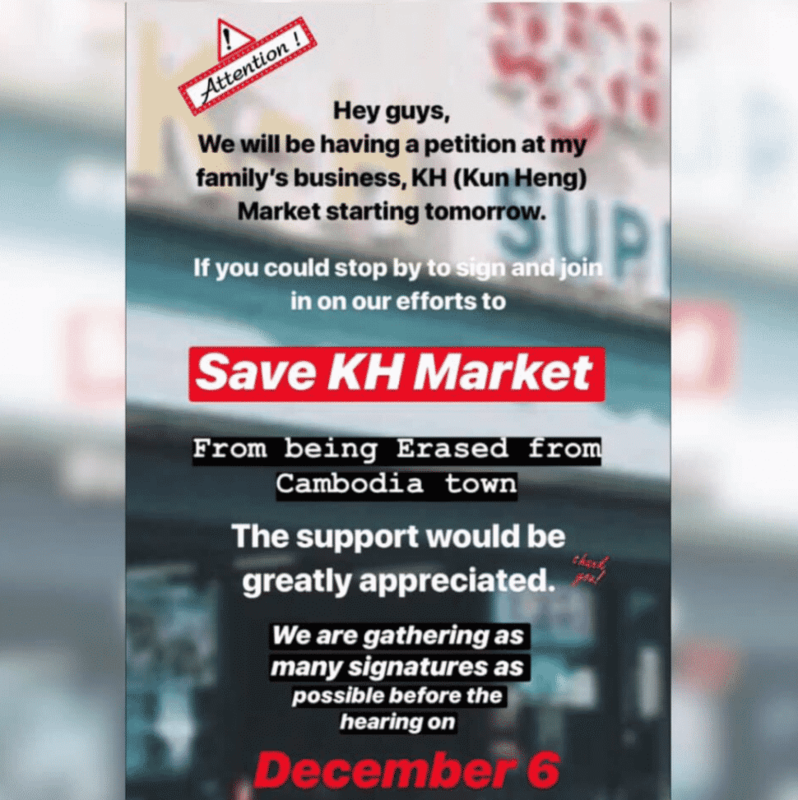 He and his family have tried to gather supporters through social media pushes, asking people to speak out against the demolition while also gathering signatures in the hopes that the hundreds of Cambodians that depend on their store won’t be turned away in the near future. Kun Heng Supermarket is located at 915 E. Anaheim St.